At the core of New Hope Uganda’s orphan care philosophy is the belief that Biblical family is the God-designed foundation for all human relationships. When this is destroyed through societal decay or the orphan experience, children are deprived of the opportunity to experience the Fatherhood of God through their biological families. To address this, New Hope places children into family groups. 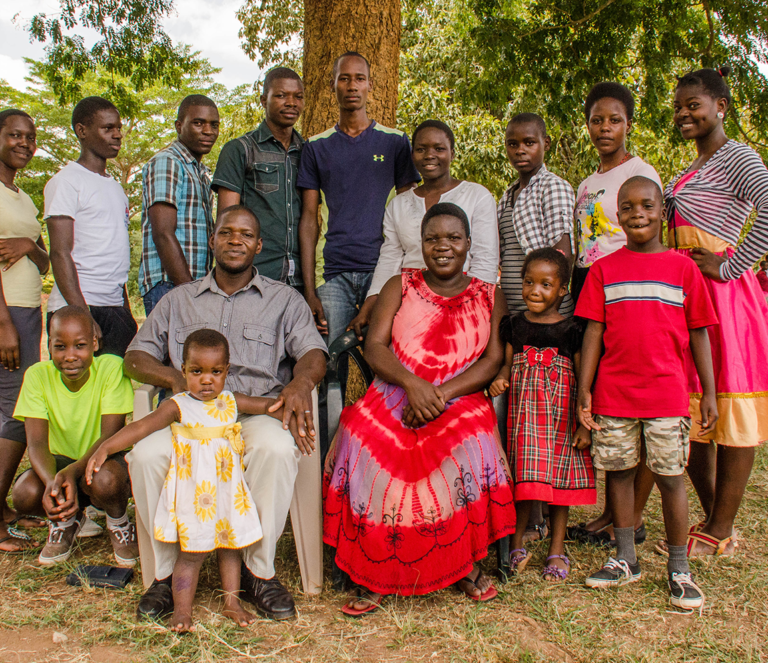 Each family has a Ugandan staff father and mother whose goal it is to recreate family in the lives of their children. Each of our families operates just like any healthy Ugandan family would, complete with their own housing, farmland, and responsibilities. It is our goal to communicate the love and Fatherhood of God to these children, so they know that they will ALWAYS have a Father Who loves and accepts them, no matter their earthly circumstances. Sponsor a child from one of our family groups.